Ethereum classic price tumbled recently below the $7.00 and $6.00 supports against the US dollar. There is a short term bearish trend line formed with resistance at $6.00 on the hourly chart of the ETC/USD pair (Data feed via Kraken). The pair is likely to extend the current decline towards the $5.20 and $5.00 support levels. Ethereum classic price fell significantly against the US Dollar and Bitcoin. ETC/USD could continue to move down below $5.50 to test $5.00. After dropping to the $7.00 level, ETC price started a short term consolidation against the US dollar. The ETC/USD pair corrected a few points above $7.20, but it failed to gain traction. The price was rejected near the $7.50 level and the 100 hourly simple moving average. As a result, there was a sharp decline and the price traded below the $7.00 and $6.90 support levels. It traded as low as $5.92 before correcting once again. It tested the 23.6% Fib retracement level of the recent drop from the $7.56 high to $5.92 low. However, upsides were capped once again near $6.30 and the price declined. It broke the $5.92 low and traded to a new yearly low. The current price action is super bearish below $6.00 and it seems like the price could accelerate below the $5.80 and $5.50 levels in the near term. On the upside, there is decent resistance formed near $5.90. Moreover, there is a short term bearish trend line formed with resistance at $6.00 on the hourly chart of the ETC/USD pair. 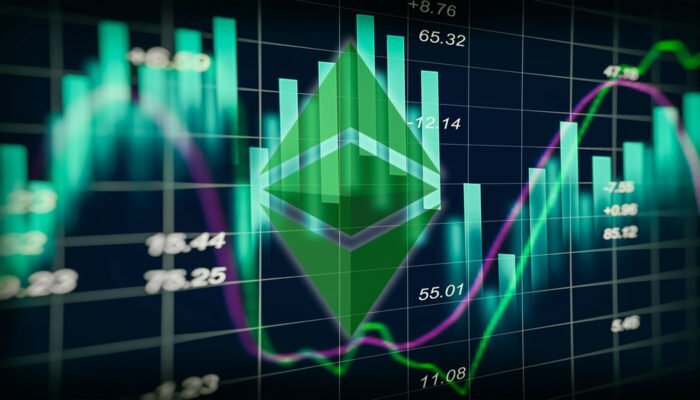 The chart suggests that ETC price remains at a risk of a downside extension below $5.50. If sellers remain in action, the next stop for them could be $5.20 or even $5.00. On the upside, resistances are at $6.00 and $6.75. Hourly MACD – The MACD for ETC/USD is about to move back in the bearish zone. Hourly RSI – The RSI for ETC/USD is well below the 30 level.